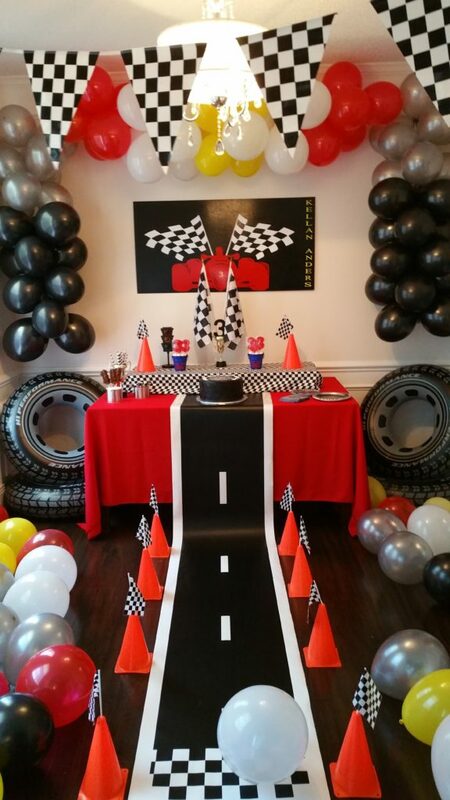 The race car theme for our 3 yr old boy. I made the background sign and the road myself. The other items like the tires, flag, and cones are all from Amazon.